I have borderline inappropriate affections for Throne of Glass. I mean, not really. 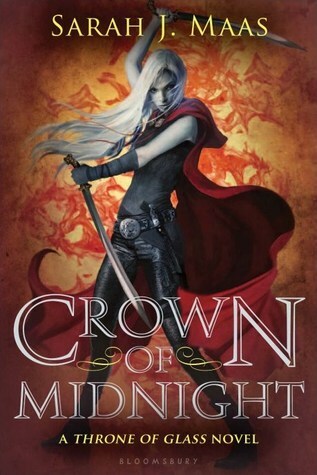 I just love it in a way that I haven't loved a YA fantasy since the glory days of Tamora Pierce, as you might notice from my glowing review and the fact that I've featured it at least once. I also happen to adore the author, but that came later. What struck me was the authenticity of the first book and how closely it stuck to traditional high fantasy while still being fun and new. I think sometimes, fantasy authors these days try so hard to be original that they avoid any cliches that might brand them "trite." This means getting rid of wizards, assassins, evil empires, dragons, etc. Sure, that's okay. You don't want to rewrite The Lord of the Rings. But there's no reason you can't stick to elements people love and make them fresh. That's what Maas did in book one, along with a badass female heroine and an appropriately-paced love interest. I'm dying for book two and I hope to see some of the same thrills, adventure, and tight writing. Great choice! I'm excited for that book too! I hope you get to enjoy it once it comes out! I haven't read the first one. Just by the reviews sounds a little like Poison Study (which I liked very much). Maybe I should wait until the second and third book are out, I'm not sure I can bear waiting for more series XD (The Raven Boys, Lynburn Legacy, Daughter of Smoke and bone). I understand that. It's SO good though. I can't imagine waiting another year to start.